Find free classifieds for Commercial for rent for sale or to buy in Gujarat. FREEADS in India offers you a platform to post free advertisements or classifieds for Commercial for rent, Gujarat. FREEADS in India helps you search, find, buy, sell, rent or hire in various categories like apartments, goods for sale, local services, cars , jobs and many more in Gujarat. Shown below are ads available in Commercial for rent, Gujarat. You can use search box above to refine your search. Eagle properties (A division of Dreams inn co.). We are dealing in sales / purchase / Rent of commercial / residential / lands...etc. in different type of properties. I.D : Madv/B/92/933C Email : eagleproperties24hrs@gmail.com Contact : 9558399952. Get an Better choice in a property with an Eagle properties. Get Better choice in a property with Eagle properties. For rent fully furnished Ready Sharing Call center On Rent Urgently in Shyamal cross road satellite - Ahmedabad Office space available for rent in Prime location, Satellite city Ahmedabad for rent of Rs 312500(neg) .The location is highly profitable. The area is 2500sq feet. The office is located in the Ground floor and is east facing. For rent fully furnished Ready Sharing Call center On Rent Urgently in Shyamal cross road satellite - Ahmedabad It is a best Option for you to open your new Office or branch in Ahmedabad, This Property is located in very nice and well maintained Building where you and your employs get very easy transportation facility and the most thing is that you get good business Atmosphere (As of now it is a IT Company but it if u are looking for a long lease then it can be furnished as per you requirement) Good for any kind of business, limited or pvt limited company Property available on long & short lease Excellent condition, Fully furnished, With Computer, parking facilities, Conference Room, Canteen service, Wash Room, 24x7 Water Supply, Security, Facility management, Support Staff Training room, Light Bill, Net Bill, Ac Bill, easy Transportation service, and its suitable for any business or MNC company Feel free to contact us for visit and finalize the best property Immediate Lease. For rent fully furnished Ready Sharing Call center On Rent Urgently in Shyamal cross road satellite - Ahmedabad It is a best Option for you to open your new Office or branch in Ahmedabad, This Property is located in very nice and well maintained Building where you and your employs get very easy transportation facility and the most thing is that you get good business Atmosphere (As of now it is a IT Company but it if u are looking for a long lease then it can be furnished as per you requirement) Good for any kind of business, limited or pvt limited company Property available on long & short lease Excellent condition, Fully furnished, With Computer, parking facilities, Conference Room, Canteen service, Wash Room, 24x7 Water Supply, Security, Facility management, Support Staff Training room, Light Bill, Net Bill, Ac Bill, easy Transportation service, and its suitable for any business or MNC company Feel free to contact us for visit and finalize the best property Immediate Lêse. Dholera project will turn interesting for global investors only when basic infrastructure is created. This will take at least five year. Dholera is a rare combination of Business, Living and Learning. A world class centre of industrial excellence and economic activity..
•	To build the industrial parks, townships, knowledge cities •	In building its infrastructure: road, rail, hospital, water, sanitation, tourism, and hospitality •	Set up the metro rail system & international airport •	Potential for development as a multi-modal transportation hub due to lesser distance to all the northern Indian States. Dholera SIR is the fantasy our honor Prime Minister Narendra Modi. His thoughts and activities have profoundly impacted the advancement of Dholera SIR. On the off chance that you are willing to put resources into private plots and homes at Dholera, then it's the best time to do that activity..
Dholera Smart City is rapidly attracting attention of growing economies like India as they offer excellent infrastructure namely water, sanitation, electricity, drainage, road, and transport, healthcare, commercial activity, entertainment, and education among others. In order to bring in quality services, services available in a Smart City are monitored by state-of-the-art technology, enabling in flawless monitoring, swift solution. Dholera SIR is that the ever best town in Republic of India. With its luxurious facilities, it got immense appreciations from everywhere the globe. This town is called because the 1st sensible town of Republic of India. Everything during this town is of world category infrastructure standards. Therefore you'll relish the superior luxuries. Commercial office space is available for rents in maintain building at prime location, This is well maintain commercial complex on 100 feet road. 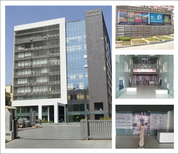 commercial zone Suitable for all type of office/business work all amenities available surrounding. the Office space is at the best location and it has enough parking spaces. India ads for Commercial for rent, Gujarat, Commercial for rent free ads Gujarat, Commercial for rent for sale Gujarat, Commercial for rent to buy in Gujarat. This page is a classified ads listing for Commercial for rent Gujarat. This listing includes classifieds for sale and to buy in Gujarat. If you posted an advertisement on Commercial for rent, Gujarat before please use Edit my ads button to change or cancel your ad. Commercial for rent Gujarat ads Gujarat, Commercial for rent classifieds Gujarat, Commercial for rent free ads Gujarat, ads for sale Gujarat, ads to buy Gujarat, FREEADS in India. Find here ads for sale, to buy and rent in Gujarat. Goods for sale in Gujarat, vehicles for sale in Gujarat, Gujarat real estate for sale, Gujarat property for sale, property for rent in Gujarat, business ads in Gujarat, Gujarat business classifieds, services in Gujarat, Gujarat services ads, jobs in Gujarat, pets for sale in Gujarat, Gujarat dating, Gujarat cars for sale.